Asiad Steels is one of the recognised manufacturers, exporters and suppliers of Silicon Bronze Fasteners, which has a number of outstanding features to provide like Fine finish, Abrasion resistance, Quality approved, and more. These products are mass-produced by using soaring-grade of alloy that is being made from authentic specialists of the industry. It is generally used in Car Manufacturing Industry, Ship Building Industry, Hardware Items, Electricity Industry, etc. These products are largely used in industrial machines and are being factory-made by using best grade of raw material and cutting-edge equipment in management by means of industry norms. Furthermore, these are as well useful for a lot of sheet-metal alloys that are rather not welded, as modification and deformation of material can happen. These products are ideal for functions where higher potency and enhanced corrosion resistance is required. Our extremely skilled experts manufacture these fasteners from the premium grade of raw material and urbane technology at our soaring performance industrial unit. 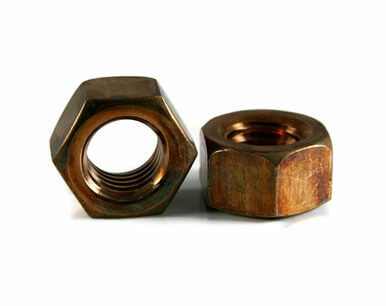 In our uncertain journey, we have presented a qualitative array of products which include Silicon Bronze Fasteners. We are a much-admired name that is being involved in providing our valuable customers a higher quality collection of these products. It as well offer a number of other excellent features like Longer working life, Dimensionally stable, Anti-corrosive, Anti-slip flooring, Cost efficiency, Resistant to adversative weather situations, Resistant metal, Defect free construct, Excellent finish, High durability, etc. 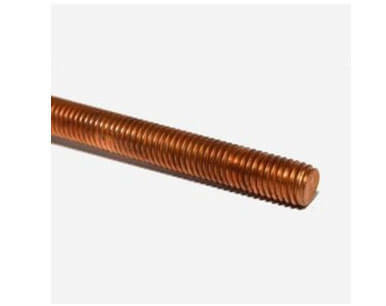 We also offer the same in different types such as SILICON BRONZE, BOLTS, SILICON BRONZE NUTS, SILICON BRONZE WASHERS, and SILICON BRONZE STUD BOLTS. 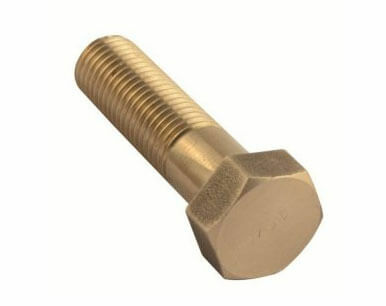 Buy Silicon Bronze Fasteners at reasonable rates from us. We are Exporter of Silicon Bronze Fasteners Heavy Hex Nuts in Worldwide Such as India, Greece, Canada, Azerbaijan, Afghanistan, China, Croatia, Norway, Kazakhstan, Yemen, Gambia, United Arab Emirates, Kuwait, South Korea, Bangladesh, Colombia, Chile, Czech Republic, Qatar, Zimbabwe, Australia, Bolivia, Jordan, Indonesia, Algeria, Finland, Estonia, Macau, Switzerland, Ghana, Austria, Belarus, New Zealand, Venezuela, Portugal, Iran, Angola, Thailand, Malaysia, Ireland, Netherlands, Oman, Hong Kong, Namibia, Peru, Chile, Vietnam, Pakistan, Iraq, France, Iran, South Africa, Gabon, Puerto Rico, Italy, Sri Lanka, Saudi Arabia, Ukraine, Mongolia, United Kingdom, Mexico, Taiwan, Romania, Costa Rica, Singapore, Brazil, Trinidad & Tobago,Tunisia, Sweden, Nigeria, Russia, Hungary, Nigeria, Germany, Morocco, Belgium, Poland, Bahrain, Lithuania, Poland, Mexico, Libya, Japan, Lebanon, Bulgaria, Denmark, Spain, Kenya, Bhutan, Tibet, Argentina, Nepal, India, Egypt, Philippines, Turkey, Serbia, United States, Israel, Slovakia, Ecuador. We are Suppliers of Silicon Bronze Fasteners StudBolts in India Such as Mumbai, Chennai, Singapore, Mumbai, Port-of-Spain, Jamshedpur, Bhopal, Istanbul, Visakhapatnam, Ahmedabad, Aberdeen, Jakarta, Tehran, Muscat, Bengaluru, Mexico City, Sydney, Bogota, Dallas, Abu Dhabi, Manama, Gimhae-si, Melbourne, La Victoria, Santiago, Thiruvananthapuram, Brisbane, Rio de Janeiro, Busan, Granada, Colombo, Indore, Perth, Al Khobar, Milan, Toronto, Kuala Lumpur, Ernakulam, Bangkok, Kanpur, Seoul, Ulsan, Courbevoie, Nagpur, Madrid, Ludhiana, Montreal, Doha, Pimpri-Chinchwad, Chiyoda, Geoje-si, Noida, Hong Kong, Pune, Jaipur, Surat, Howrah, Kolkata, London, Hyderabad, Vadodara, New York, Houston, Hanoi, Caracas, Cairo, Coimbatore, Atyrau, Nashik, Baroda, Ho Chi Minh City, Dammam, Sharjah, Edmonton, Al Jubail, Petaling Jaya, Karachi, Ranchi, Ahvaz, Haryana, Secunderabad, Lahore, Riyadh, Navi Mumbai, Calgary, Chandigarh, New Delhi, Dubai, Algiers, Gurgaon, Jeddah, Thane, Faridabad, Lagos, Kuwait City, Ankara, Rajkot, Moscow, Vung Tau, Los Angeles.